Delhi Dynamos rallied to hold FC Goa to a 1-1 draw to make a dent on the home side’s chances of making it to the play-offs of the Indian Super League (ISL), on Wednesday. 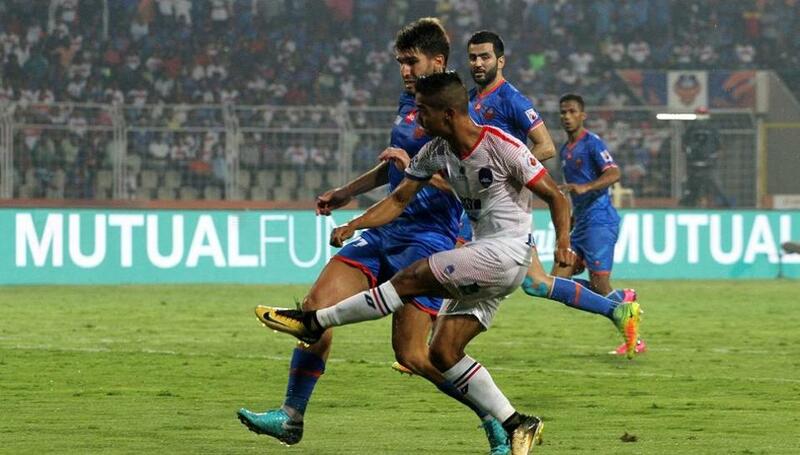 Delhi Dynamos threatened the FC Goa goal as early as in the second minute when a move by Romeo Fernandes from the middle saw Kalu Uche put a through pass to Manuel Arana inside the box. But Arana could only shoot straight to rival keeper Naveen Kumar. Their best chance came in the 26th minute when Hugo Boumous made a run down on the right flank and laid a pass to Mandar Rao Desai inside the box but his weak effort went straight to rival keeper’s hands. FC Goa finally got the breakthrough they needed badly when Edu Bedia relayed a pass to Hugo Boumous who made a solo run and from the top of the box essayed a firm right footer that deflected rival defender Gabriel’s back and caught keeper off guard to find the far post in the 53rd minute.